CHICAGO (WLS) -- In a symbol of compassion for Catholics everywhere, Archbishop Blase Cupich marked the beginning of the 12-month "Jubilee of Mercy" with a special ceremony at Holy Name Cathedral. 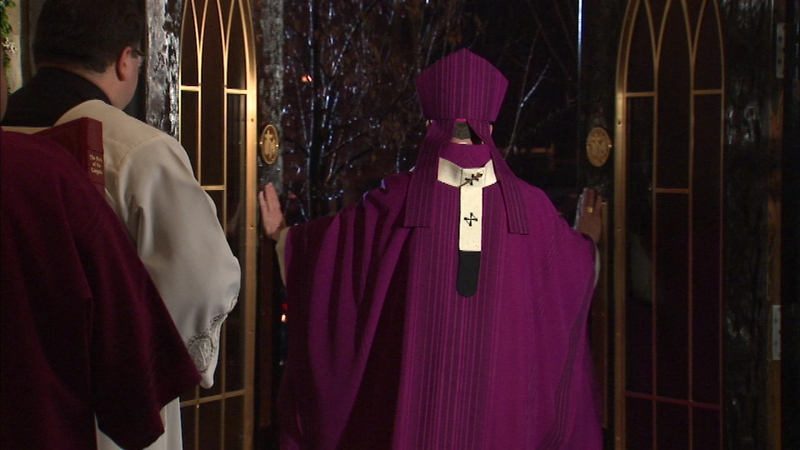 Last June, the archbishop closed and sealed two north-side doors. Sunday night, those doors were opened, and a procession filed into the church while singing hymns.